Place​​​​​ the locking ring to lock the grind setting you’ve chosen in place. Put back the handle, securing it with the top nut. 2 ​Why Use a Manual Coffee Grinder? 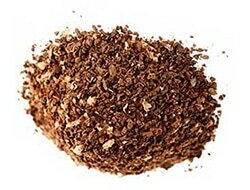 Are you tired of pre-ground, store bought coffee? Have your taste buds been yearning for something different? If so, then you’re in luck! 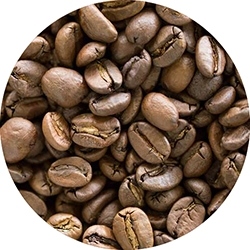 The short informational piece that follows will not only explain in detail how to use a manual coffee grinder, but it’ll also help you to explore the wide world of coffee flavors out there! The best part is, you don’t need to give up the drip brew coffee machine you’re probably using right now. Although, you may eventually want to do that too, because as you’ll see when you check out the plethora of espresso machine reviews on this site, there are some fantastic options available that can really expand your coffee world. 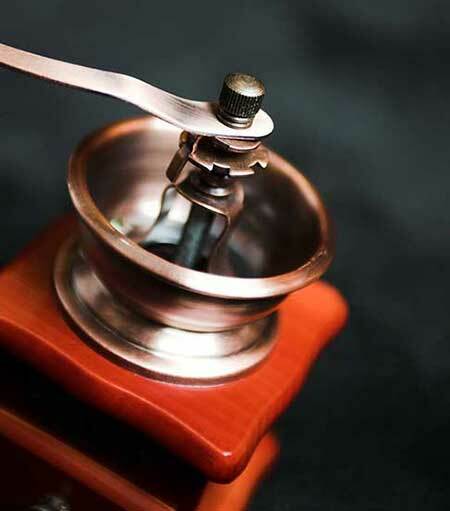 For the moment though, let’s turn our attention to the topic at hand and take a closer look at what manual grinders are all about and how to use them! 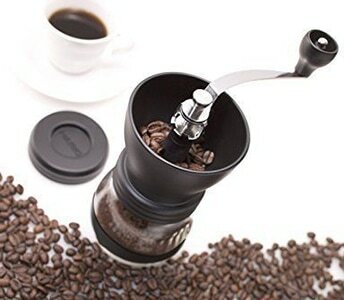 ​Why Use a Manual Coffee Grinder? 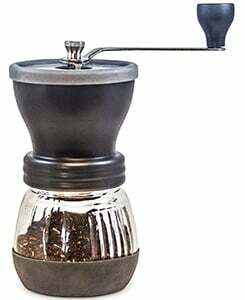 Why Use a Manual Coffee Grinder? This is the first question a lot of coffee novices ask, and with good reason. After all, you can buy pre-ground coffee. So, what exactly does a grinder, manual or otherwise, add to the equation? There’s more to talk about here than first meets the eye. The major problem with using pre-ground coffee is the loss of control. Getting the grind right is one of the essential elements to making a great cup of coffee, no matter how you’re brewing it. At the end of the day, it comes down to flavor. 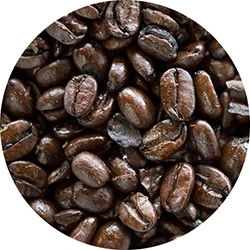 If you’re okay with the way pre-ground coffee tastes, then you’re going to be blown away by the full-bodied flavor you get when you can precisely grind your own beans. It makes a world of difference. The major reason is that pre-ground coffee, for the most part, suffers horrible consistency problems. Have you ever cracked open a container of Folgers coffee, or whatever brand you’re currently drinking and taken a look at the grounds? They’re all over the map! Some are enormous, about the size of sea salt, while others are fine and small enough to slip right through your coffee filter. By definition then, the flavor is going to be highly inconsistent. It might make a passingly good cup of coffee, but once you’ve experienced the difference that grinding your own beans makes, you’ll never want to go back! You might be tempted to skimp here and get a cheap blade grinder. Resist this urge! While that represents a step in the right direction, it’s a small one. Bladed grinders don’t do much grinding. 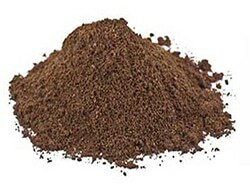 Mostly, they just smash your beans to bits, which again, results in an inconsistent grind. It’s better than what you can buy at the store, but only a little. You might also be tempted to get an automatic grinder. They are handy and convenient, but they do suffer from an important limitation. Each of them has some pre-set number of grind settings you can choose from. If you’re willing to spend hundreds of dollars, you can get an automatic grinder with 200+ settings, which is enough to cater to just about every taste and preference under the sun. But in reality, most people aren’t willing to spend hundreds of bucks on a device whose sole purpose is to grind coffee. And that’s what makes manual grinders so attractive. They’re simply constructed, relatively inexpensive, and give you fine-grained control over the output you get. You don’t have to contend with someone else’s pre-determined settings, and you don’t have to live with an approximation of your flavor preferences. You can fine-tune your grind until it’s exactly the way you want it, and from a flavor perspective, that’s pure gold! We’ve listed the basic steps above, but we want to take a moment to go into a bit more detail here. The first thing to note is that how to use your new grinder may vary slightly from one brand or one machine to the next. 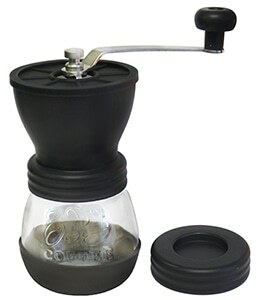 Nonetheless, manual coffee grinders are an old, well-understood technology, and most of the differences that exist from brand to brand are minor and cosmetic. While most models secure the handle with a top nut, a few run without that, and have handles that simply screw into place. All that to say, don’t be alarmed or concerned if the summary instructions don’t match precisely with your specific machine. Regardless, the basic operation is simple and is largely the same across all makes and models. If you want to change, or initially set the machine for a particular grind, the first thing you have to do is to disassemble the unit by removing the top nut, handle and locking ring. This allows you access to the innards of the machine where you can make whatever adjustments you deem necessary. Simply turn the adjustment ring clockwise if you’re looking for a finer grind, and counterclockwise if you’re looking for a coarser grind. Once you’ve got the grind setting you want, put back the locking ring, which is essentially the “save” function. Make sure that the grinders won’t shift or move to avoid losing the adjustments you've just made. Then place back the handle and top nut (if your machine has a top nut). After you’ve reassembled the machine, you’ll want to test the grind setting on a few beans to make sure it’s what you want. As you might have guessed, there is some experimentation needed here. Don’t be surprised if you'd have to take the machine apart again to make a few fine-tuning adjustments. If you’re the only coffee drinker in your house, or if you can convince everyone else to simply use your preferred grind settings, then once you’ve got it the way you want it, that’s it. You’re done. The locking ring will ensure that you don’t have to go back and redo all that later, unless you decide to change your preferred grind settings to experiment or to make a different kind of coffee using a different brewing method. This brings us to the next logical question: How do you know what grind setting to use? We’ll cover that in the next section! There’s no one right answer here. Ultimately this comes down to your flavor preferences. If you love bold, powerful flavors, then a Dark Roast is going to be more to your liking. 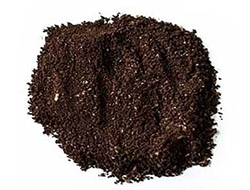 If you prefer milder coffee, then a Medium Roast will probably be more ideal. Experimentation is the order of the day here. If you’re not sure what kind of coffee you prefer, buy a wide variety of small quantity bags and try them all until you find something that tickles your taste buds. Don’t be surprised if you find several that really do it for you, depending on your mood! The biggest thing is to make sure they’re fresh! You’ll want to buy the freshest beans possible, preferably that come delivered to you in vacuum-sealed packages, and you’ll want to use them as quickly as possible after opening, storing them in an airtight container to preserve the freshness until you use them. Really good beans come with a “roasted on” date, so just get the most recent date you can, preferably within just a few weeks of when they were roasted. When you open the bag, you should see a thin sheen of oil, still on your beans. That’s a good thing and the mark of freshness! If you’re a casual coffee drinker and don’t consume oceans of the stuff a day, then you may want to keep your open bean containers in the freezer, and only pull out what you’ll be using each morning. The reason you need to clean it is that over time, the oil from the beans will start sticking to the mill, and can interfere with smooth grinding. It’ll also invariably darken the glass portions of the machine, giving the glass an oily, dirty appearance. The bottom line is, when your machine gets dirty, it no longer looks as good or grinds as efficiently. When that happens, just give it a good soak in a weak detergent, rinsing thoroughly and allowing to dry completely before putting it back into service. Where the glass is concerned, you may need to rub it gently with a soft cloth to remove all the oils. Just be sure not to use anything abrasive here, as this may scratch the glass and ruin the aesthetic of your machine. And there you have it! Learning how to use a manual coffee grinder certainly isn’t hard. Once you’ve mastered it, you’ll wonder how you ever got along without it! It’s very possible that once you’ve used your grinder for a couple of weeks, you’ll be excited to beg​in exploring the world of specialty coffee drinks and say goodbye to your old drip brew machine. If that happens, then you’ll find tons of reviews on a broad range of semi- and super automatic espresso machines. If you already own a great grinder (manual or otherwise), you’ll probably gravitate to a semi-automatic, and our reviews can help you identify the one that’s perfect for your home!